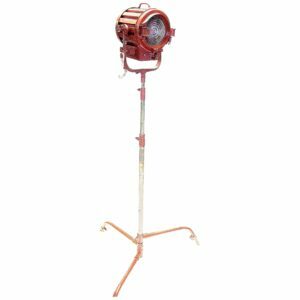 Submitted for your consideration, a mid-20th Century Hollywood made 5,000 watt Senior Motion Picture Studio spotlight example on a factory correct period rolling stand. Several still available with different levels of patina and condition. 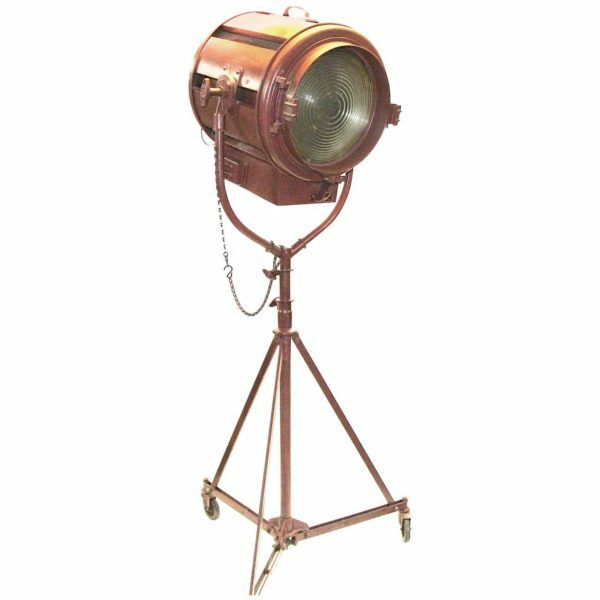 The Mole Richardson Company has been making these spotlights for use in Hollywood since the 1920’s. 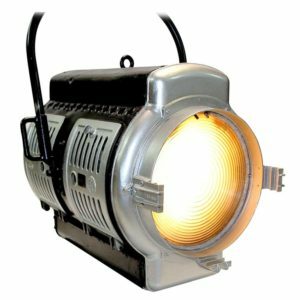 This authentic and correct 5K Senior Fresnel Light Fixture comes in correct original factory colors with original ID plate and serial number. 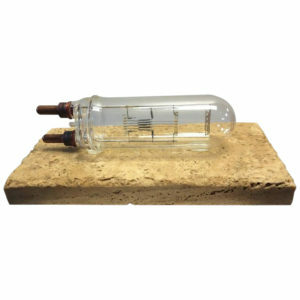 The original electricals have been correctly preserved but we have added a supplementary UL LISTED household assembly for 40 watt – 100 watt LED illumination for your display purposes. We can offer you LED, fluorescent or incandescent bulbs included in the price. This display makes a bold statement derived from The Golden Age of Hollywood. The light on the stand can be raised to over eight feet if required. Very sculptural and impressive. Several systems available offering different patina levels to fit your needs. We also have the next huge size up from this fixture in a 10,000 watt example of the same light fixture. Please inquire. 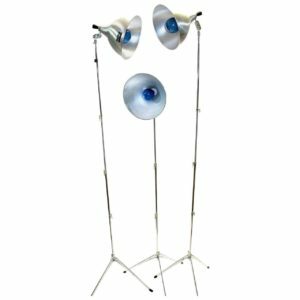 From the Hollywood Sound Stage to your home or office. This is a must have piece with looks equal to none.